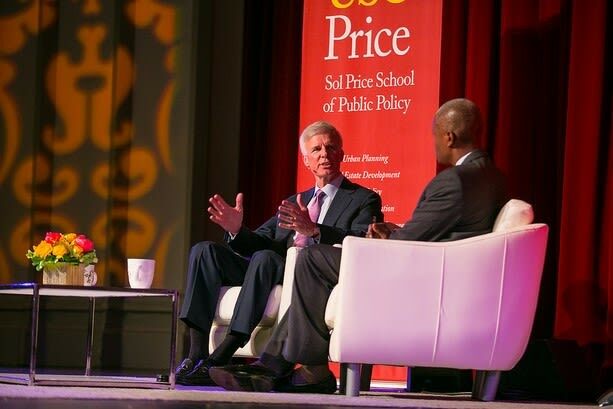 USC Price remains at the forefront of the most critical challenges confronting our world today. We integrate the strategic intellectual and problem-solving resources of six independent yet related academic program areas: public administration, public policy, nonprofit leadership and management, health policy and management, urban planning, and real estate. Through education and research, our mission is to improve the quality of life for people and their communities, here and abroad. The LEAP Program (Learning to Excel Academically and Professionally) is a comprehensive initiative to prepare undergraduate students for success in an increasingly global economy. LEAP helps fund local and international lab experiences, professional development opportunities, need-based scholarships and emergency aid for students who might otherwise not be able to complete their degrees. 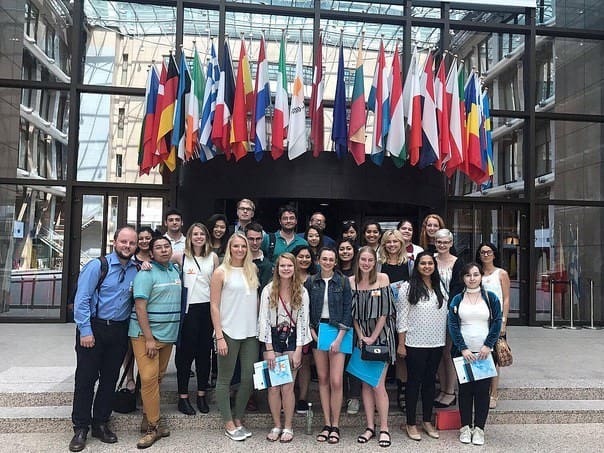 Through the LEAP labs, our students have worked with local policy makers, business leaders, and planners not just in Detroit, but in Europe, South America, and Mexico as well. 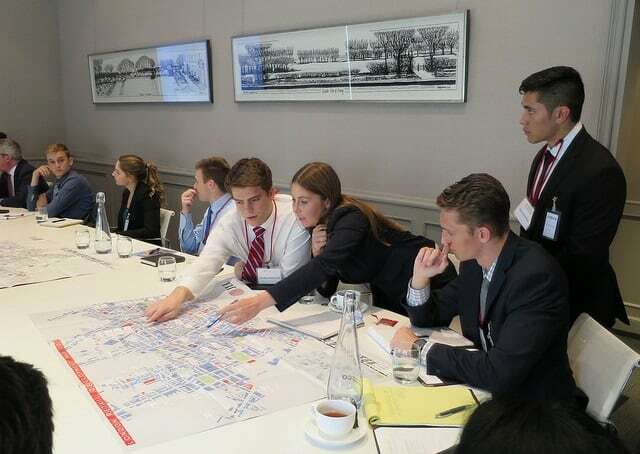 This spring, our undergraduate real estate students participated in an interdisciplinary lab in London. They gained hands-on experience by serving as a consultant for a mixed use development company, and acquired professional skills needed to launch careers that will impact communities across the globe. 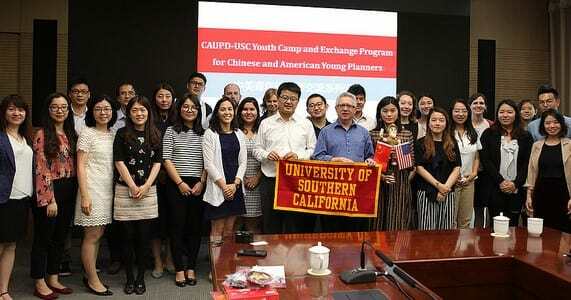 Advancing the USC Price School of Public Policy’s reach, our graduate students took part in global experiences, exploring topics that transcend international boundaries. Attracted by the opportunity to work on a consulting project for the World Bank, both American and Chinese students traveled to Beijing to provide recommendations for air quality management in the Jingjinji region — the mega-region surrounding Beijing with a total population of approximately 110 million. “I was born in Beijing… I want to help my hometown and my country conquer the air quality problem — that’s the reason why I chose to do this lab,” explained MPA student Yuchen Zhang. Price students ventured to Brazil to explore how Rio de Janeiro’s Center of Operations (COR) can use big data to improve resilience to climate change, natural disasters, mobility and public safety challenges. 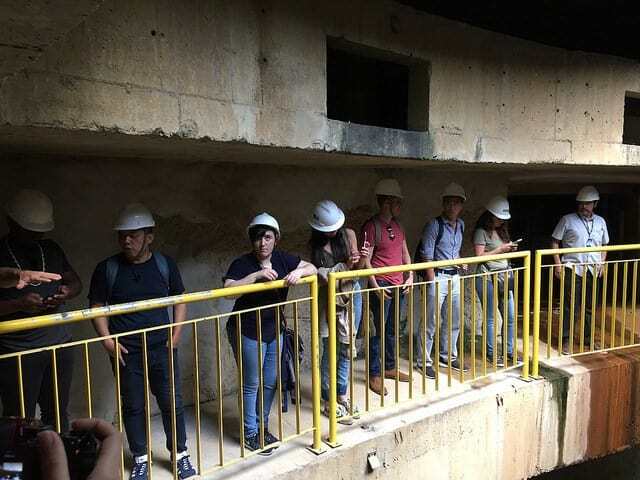 The students went on numerous site visits, including to the highly impoverished settlements known as favelas, which were heavily affected by recent rains and landslides. They saw how COR responded by enhancing Rio’s smart technology infrastructure, so that sirens now sound to alert people to evacuate favelas before dangerous storms. 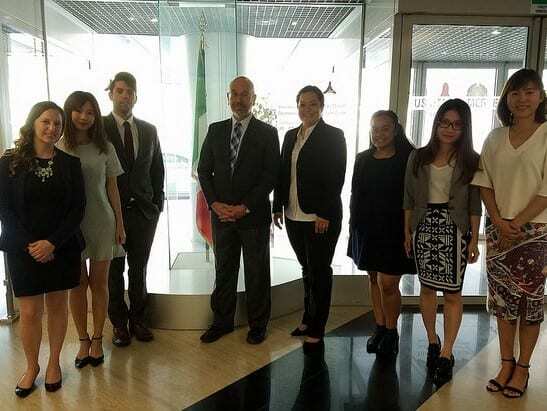 Seven Price students headed to Milan and Rome to provide professional consulting services for the Department of Civil Protection, which leads the disaster management system in Italy. At their client’s request, the students explored how social media can enhance the response to emergencies and disasters, ranging from floods and droughts, to earthquakes and volcanoes. Every year, we engage news-making leaders from a variety of disciplines to speak to critical issues. This fall, USC Price will convene a panel of mayors to discuss homegrown violent extremism in their communities and host a conversation on national leadership and policy with The Honorable Henry Cisneros, former HUD Director and Mayor of San Antonio. We will also feature local leaders in New York to discuss the Hudson Yards project, the largest private real estate development in U.S. history. USC Price is proud of the legacy and impact we are making in the field of real estate development. 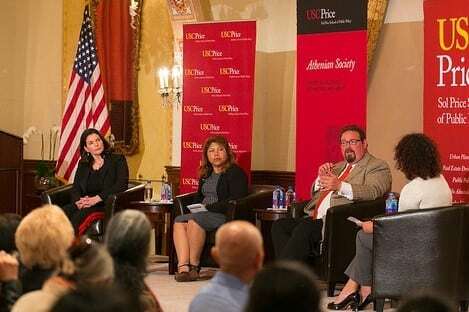 In celebration of the 30th anniversary of the Dollinger Master of Real Estate Development program, USC Price gathered together alumni leaders who are transforming cities and shaping real estate in every major urban market in the country. The MRED program has paved the way for the new Bachelor of Science in Real Estate program, which has resulted in a surge of undergraduate applications. The USC Price School’s mission is to improve the quality of life for people and their communities, here and abroad. We focus on many of the pressing topics at the forefront of public dialogue today — affordable housing and homelessness, health care policy, economic and social equity, urban development, climate change, and national and global security, and more. We are committed to making real-world impact, which wouldn’t be possible without donors who support and share our mission. Over the past two years, we have organized our undergraduate curriculum to create three new undergraduate degrees and we have increased the number of undergraduate students by 10%. Our students hail from more than 35 states and 27 countries, and many need financial support to pursue their dreams of education. Contributors like you help enhance the overall educational experience of our students by providing students with life-changing education, state of the art programming and research, prominent faculty, and essential scholarships. 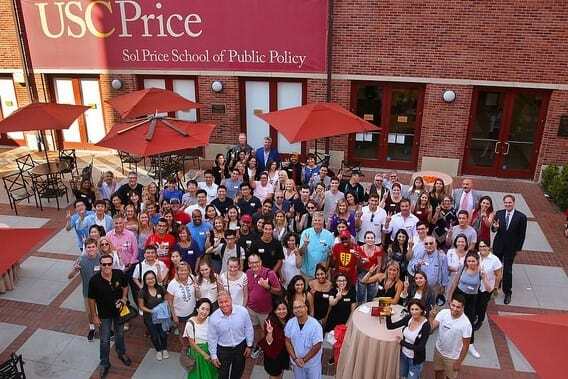 As the currently ranked #2 public affairs school in the nation, USC Price delivers both academic and practitioner training needed to prepare our students to become leaders in purposeful careers in an ever-increasingly pluralistic world. 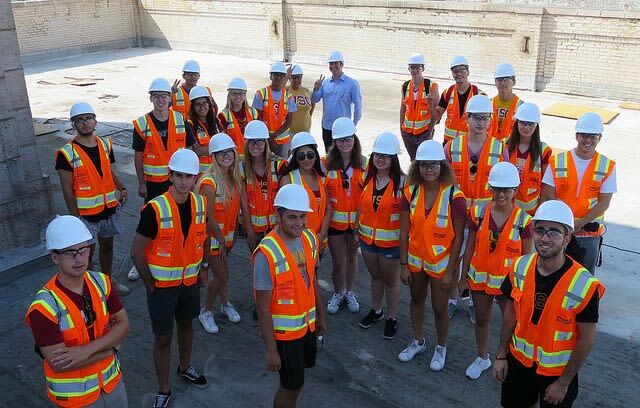 Each year, USC Price students participate in hundreds of unique internships in the public, private, and nonprofit sectors. Unfortunately, a large number of these opportunities arise in the form of unpaid internships. The Graduate Summer Internship Fund (GSIF) aims to assist students in financing career exploration in their field of interest. Unpaid and low-paid internships are not always possible for students who cannot sustain the additional financial burden. Funding is also intended to relieve some financial hardships of housing for students interning out of state. Giving to GSIF is an easy and tangible way to make a meaningful difference in the lives of the next generation of public and nonprofit leaders. With your help, our students will have the opportunity to receive relevant experience and jump-start their career in public affairs! For more information about GSIF and ways you can support our students, please visit https://ignite.usc.edu/project/9968. With your support, each gift helps us improve the quality of life for people and their communities, here and abroad by shaping the leaders of tomorrow. Thank you for your continued support of our school and mission. Fight On!